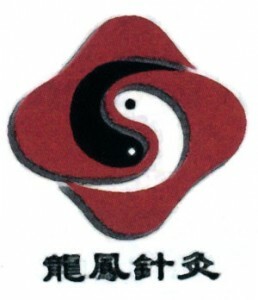 A brief biography | Chinese Acupuncture & Natural Therapy Center. It was the dream of Dr. Zhang’s mother to see her daughter become an acupuncturist like her great-grandfather. With her mother’s encouragement, and inspired to help improve her mother’s poor health, Dr. Zhang studied hard so she could get into one of China’s best medical schools. There, she met her husband, who was two years ahead of her. Dr. Wang’s path to medicine was slightly different. His father, who experienced hard times in China along with everyone else in the 1950s and 1960s, encouraged his children to learn a skill that would ensure they’d always be employed and have food to eat. “My parents believed in traditional Chinese medicine,” says Dr. Wang. “My father thought it looked so simple—with just a few needles you can cure problems.” Of course, there was much more to it than that. After his five years of medical school, Dr. Wang worked in a Chinese hospital that offered both Western and traditional Chinese medicine. He eventually became the hospital’s director of acupuncture. Then his former teacher, who had moved to California, invited him to come to the U.S. in 2000. So he did. Dr. Wang practiced his specialty in Los Angeles while his wife remained in China with their son, Prince. Dr. Zhang continued to treat patients at a traditional Chinese hospital while the family made plans to be reunited. She and Prince finally came to this country in 2002. Boise was never intended to be their final destination. Japan was. “I had classmates in Japan,” says Dr. Wang, “and learned Japanese at the university.” But after being in the U.S., the couple decided to stay. “I did some research and found that there weren’t many Chinese doctors (here),” says Dr. Wang. He and his wife looked at Portland, Seattle, Phoenix, and San Diego, but decided that Boise felt the most comfortable. Lonely at first, the doctors have gained lots of American and Chinese friends, many of whom are their patients. They celebrate Chinese and American holidays, and their son studies at a Chinese school on weekends. Their acupuncture practice, established in 2003, continues to grow through word of mouth and advertising. They get lots of referrals from their patients, many of whom have been helped by acupuncture when they couldn’t find relief from Western medicine. “Some people come as a last resort,” says Dr. Wang. Many patients are wary of needles, but the doctors use ultra-thin needles that are sterile and disposable. And, they don’t hurt. On the contrary, many patients experience a feeling of well-being and relaxation after a treatment, because the needles stimulate the nervous system to produce the body’s natural pain-relieving chemicals. While Western medicine excels at emergency treatment and surgery, these Chinese doctors say acupuncture works best on chronic conditions, including pain caused by various illnesses and injuries. “For pain, we can help 90 percent or more” of the patients who come to them, says Dr. Wang. Unlike many other acupuncturists, these doctors don’t rely solely on needles for treatment. They often use cupping and acupressure in addition to acupuncture, at no extra cost to the patient. Treatments take place in a private, quiet room with soft Chinese music playing in the background. It’s a far cry from their experience of treating people in Chinese hospitals, where many patients share a large, open area.